About thirty years ago, I (Helen Woodsford-Dean) came up on holiday to Orkney and fell in love with this exceptional place that is Orkney. 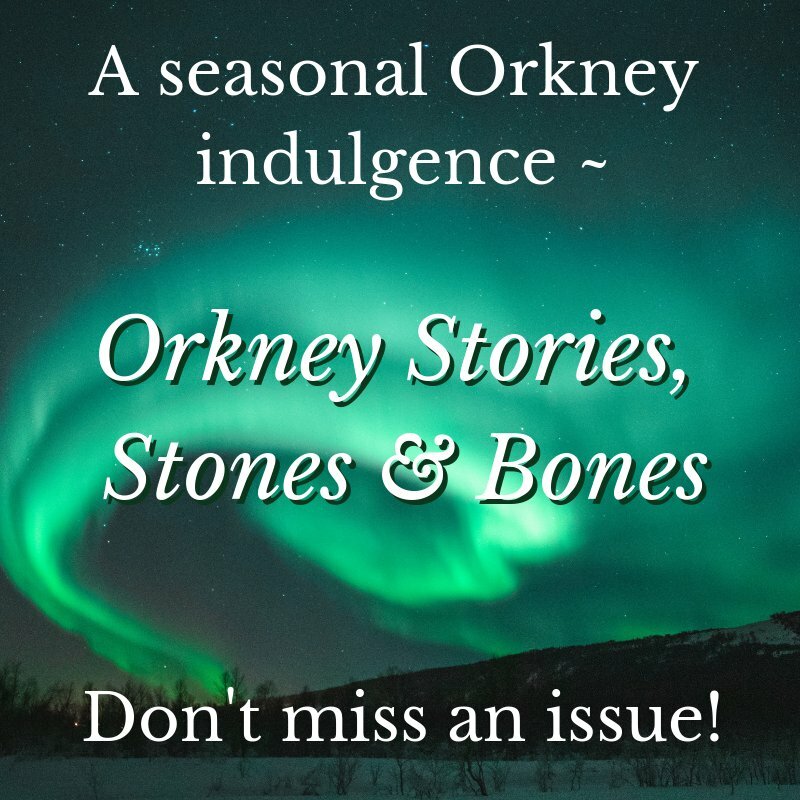 For the next ten years or so, Orkney was my dream, my safe place, my sanctuary - although it is easy to idealise a place when you are living 900 miles south in Hampshire. I must admit to having built it up a little (but only a little) in my imagination. As a lecturer in archaeology, for those same ten years or so, Orkney was also the most referred to place in my lectures on Britain's prehistory. This place really is incredibly important in terms of its archaeological remains and activity. When I met Mark about fifteen years ago - now my husband and partner, and another archaeologist - I promised I would bring him up to Orkney because it is on every archaeologist's must-visit list. In 2007 I finally got the opportunity. As we were driving from the ferry towards our hotel in Kirkwall, I announced: 'This isn't just a holiday, you know. I want to move here; have a look and see what you think, please.' OK, I admit now, in hindsight, that that was a bit sneaky and unfair of me ... but it took just over a week for Mark to be as besotted with Orkney as I was. As part of our holiday outings, Mark and I took a tour of the Ring of Brodgar with one of the WHS Rangers, who happened to mention that people got married there. Mark and I were engaged at that point but kept putting the date off because we hadn't been happy with any of the venues (In England a site has to be licensed for marriages, and can't be outside.) But could we get married in Orkney at a 5000 year old stone circle? We made enquiries and discovered that Scottish law is different and that sites do not need to be licensed for weddings; the permissions go with the registrar, minister or celebrant performing the ceremony. What was more, we learnt that we could have a ceremony with a Pagan celebrant! As Pagans ourselves, our only options in England were to have an official civil legal wedding in a registry office, followed by an unofficial handfasting elsewhere. None of this was ideal for us. 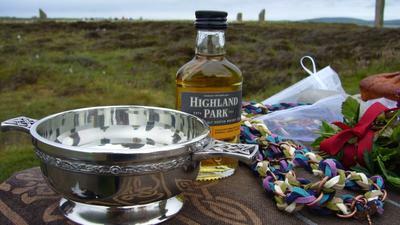 So we made our arrangements to get married at the Ring of Brodgar with a Scottish Pagan Federation celebrant. Our nearest was in Perth and they kindly travelled up to do the officiating for us. In April 2008 we because Mr and Mrs Woodsford-Dean. Our marriage certificate states that we were married at the Ring of Brodgar by a Pagan celebrant. We spent our honeymoon planning our move to Orkney, and in summer 2009 we finally relocated. 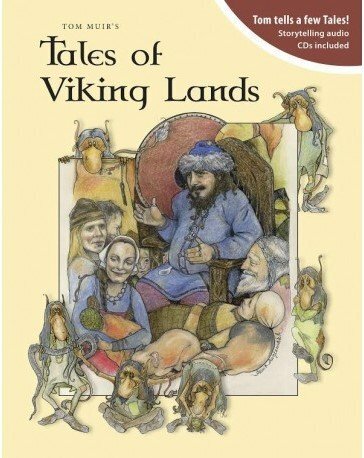 Being Pagans ourselves, once based in Orkney, we were approached by the Scottish Pagan Federation about becoming celebrants. By 2010 we had completed the checking and registration processes and were performing our first weddings. 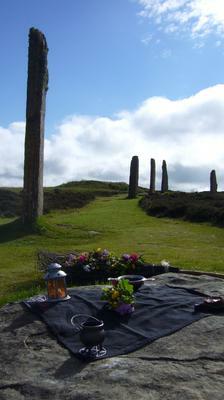 Now we call ourselves 'Spiritual Orkney' and we design and perform ceremonies to celebrate handfastings, engagements, betrothals, fully legal weddings, anniversaries, baby namings, family blessings, renewals of vows, and of course, memorials. 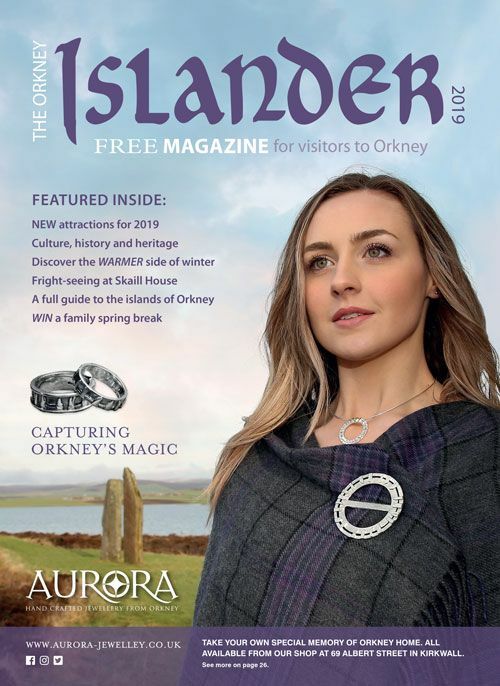 And we do all of this in some of the most stunning locations in the world ... although the Ring of Brodgar remains our favourite and most popular site. Our couples come from all over the world, as well as from within Orkney. We take care to create ceremonies that are sincere and bespoke. Our rituals are tailored to the requirements of each couple. 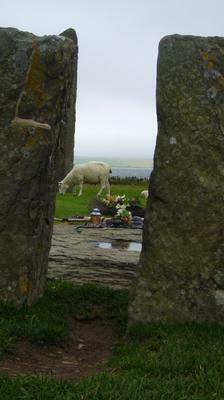 Orkney provides the perfect romantic backdrop for making promises and pledges. Although we are Pagan ourselves and follow belief systems that honour nature, we never proselytise. 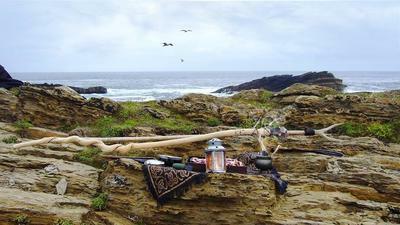 Our rituals reflect the beliefs of the people for whom we design them. 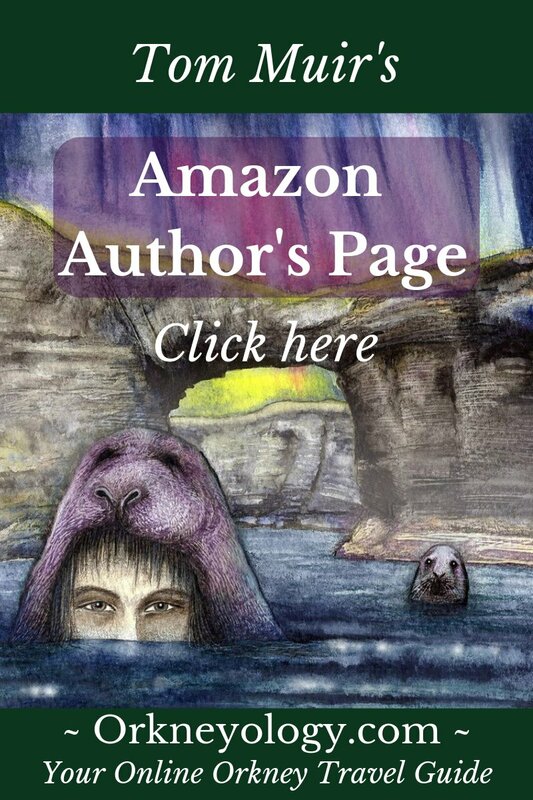 We can include readings or themes from any religion or none. However, our permissions to perform fully legal weddings comes via the Scottish Pagan Federation, so we do include Pagan traditions in these ceremonies – using words which honour nature, perhaps a handfasting, or jumping of the broomstick – all of which are traditions steeped in time. Demand for our services increases every year, which is hardly surprising. After all, where else could you get married whilst being protected by a circle of ancient stones and serenaded by curlews and skylarks? 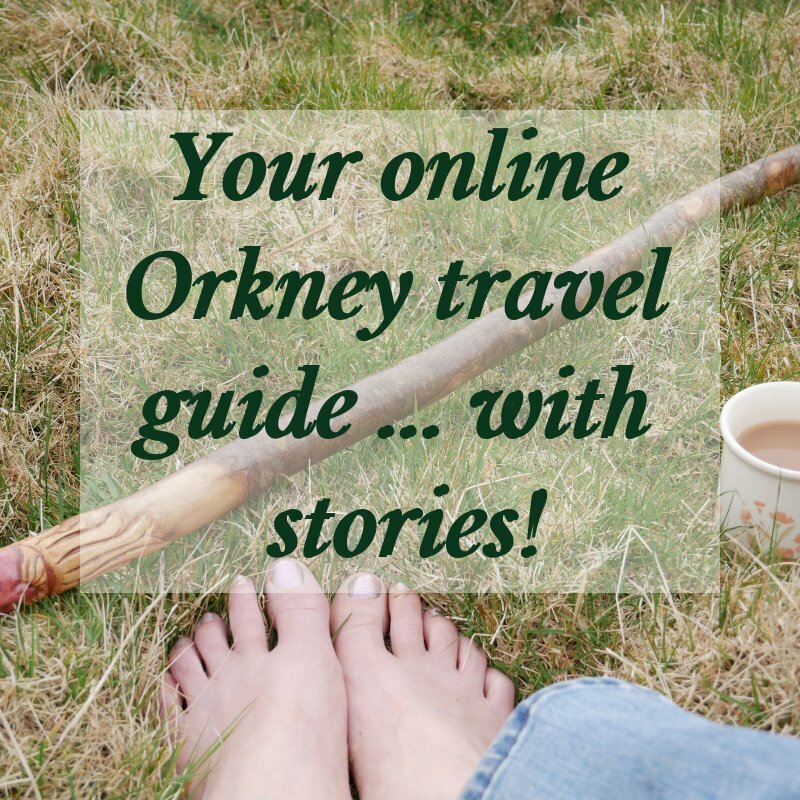 Helen and Mark, thank you so much for sharing the story of your Orkney journey. Having witnessed a ceremony that you performed for friends of ours, I can affirm the beauty and meaning of sincere vows made in an astonishingly beautiful and spiritually vibrant location. Orkney is so rich in "thin places." Good fortune to you both as you continue your journey here. I learned of Helen and Mark Woodsford whilst in Scotland on tour...they were our guides for the Ring of Brodgar walk! They were so full of information about the Stones and the surrounding area and current excavations! We found they do weddings and other special events! Not only are they fabulous guides...you can feel the LOVE between them...I envied they are in business together in this MOST magical of places. I highly encourage ANYONE who has pending nuptials to HIGHLY consider Helen and Mark Woodford to officiate your wedding and let them make your special day MORE magical by attending to you! Congratulations to you on your continued success Helen and Mark! What ever your agenda is...LET Helen and Mark assist you! Helen and Mark - You are the sweetest. We are so lucky to have you both here in Orkney.